As of November 2, Gawad Kalinga has officially halted our relief operations for Bohol. 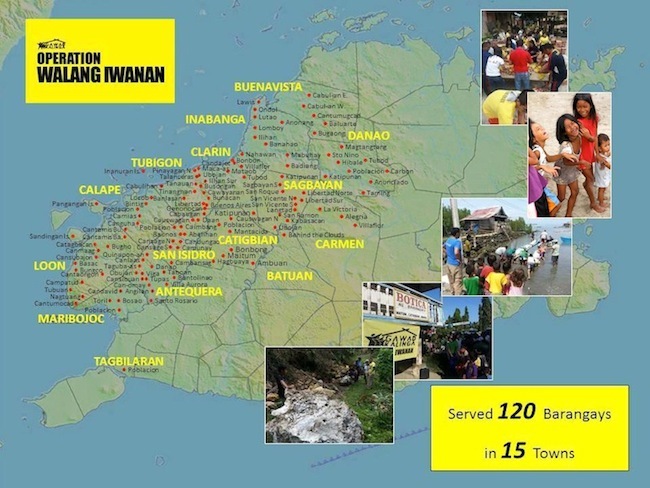 Here is the map showing the 120 barangays in 15 municipalities to which we have delivered over 24,000 food packs and close to 75,000 liters of water. We also conducted fun and play activities for 5,000 kids who each received a bag full of goodies. Your support through your prayers, contributions and encouragement allowed this MIRACLE OF SOLIDARITY to happen. I was asked in a press conference what made this relief operations a success, faith in God and friends (countrymen) you can count on was my response. We are MOVING TOWARDS the second phase which is the REBUILDING. There are three interventions that are in the drawing board: transition houses, water supply and help for small farmers for them to be able to replant. We are now on the planning stage on this phase. In behalf of those who received the help and love that you all sent, THANK YOU FOR BEING THE ANSWER TO THEIR PRAYERS. Walang Iwanan. You can also share updates and reach out to those who can help! 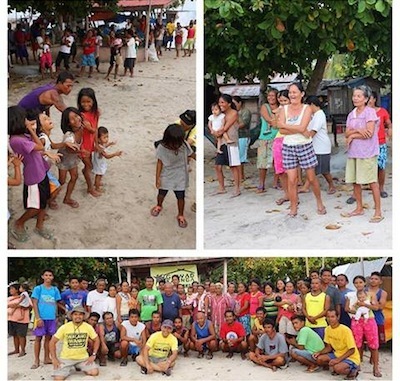 "Spent the weekend in Brgy. Bayacabac and the windows are up! Model house is almost done. that she has already started planting seedlings at the back to be used for landscaping as soon as the construction is done. You can come and spend your summer with us! Beautiful beaches, awesome diving spots...and yes *ehem, ehem* beautiful people. #BayaniChallenge. April 12 - June 12, 2014. Sign up will be open soon. Will keep you posted!" "Long wait is over. The plywood has arrived. And so, we're now starting the wall. Yipee!!!" "Silang mga bagong bayani ng Bohol, naghahandang magdistribute ng tulong sa mga isla ng Tubigon. Their parents and relatives were the people who really made this operation a success. They cooked and provided food for all the volunteer teams throughout the operation and even opened their houses so we can take a bath and use their blankets. Now, their children are giving their share for the people of Bohol. Kayo ang aming inspirasyon at ang magbibigay ng panibagong pag-asa sa mga nawalan. Salamat at hanggang sa muling pagkikita." "Kumingking, kumagko, kumingking, kumagko, ikurog..." Kuya Nikki of Team GK Neg Or leading the teaching of songs here at Pangangan Elementary School for the Paraisong Pambata. Teachers and the principal are with us today too. Teacher Rowena shared,"Mu-apil sad mi ani para mawagtang atong trauma." 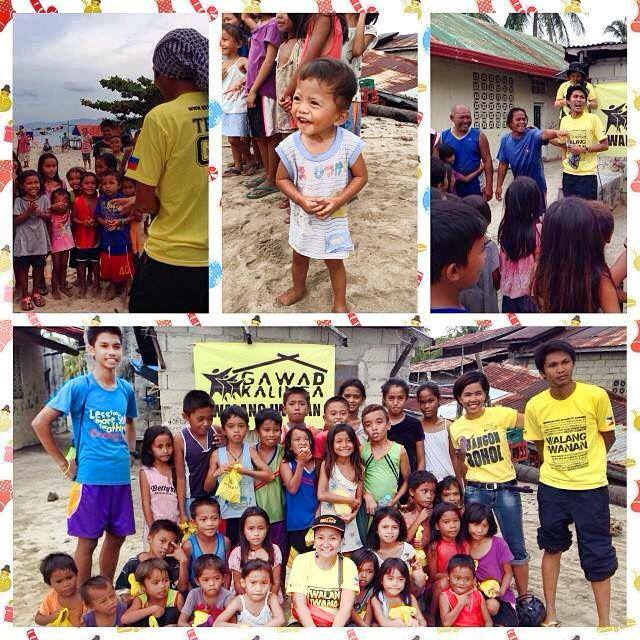 Paraisong Pambata brought smiles not only to the kids but to our teachers and parents as well. 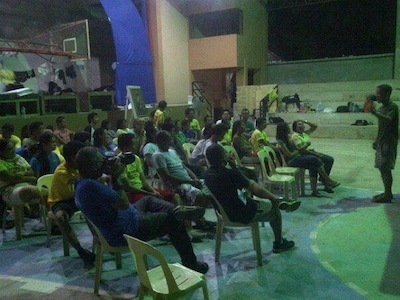 "An evening in Tubigon with GK volunteers. Each reflected and shared their experience during the day. A common theme is the comments of those families that GK served "kinasingkasing ang tabang sa GK (the help of GK is truly from the heart)". To date, we delivered almost 20,000 food packs with 70,000 liters of water with lots of love and fun. Each one of us finding a spot to sleep inside the gym w/ the empty cardboard boxes as beds. Cheers to the GK volunteers!" DAGHANG, DAGHANG SALAMAT to our dear volunteers. It's Day 11 of Operation Walang Iwanan but your strength, passion and commitment for the mission continues to intensify. All for God and country! Walang Iwanan! 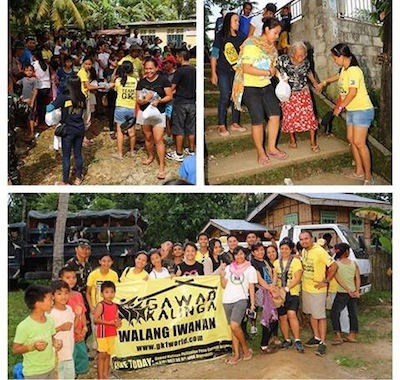 OPERATION WALANG IWANAN UPDATE: 13 days after the earthquake and your help and support still continues to come. Inspiring! All for Bohol! THANK YOU! "Nothing can stop kindness. Like water, so fluid it is that it flows over, around or under any obstacle working its way through the crevices of the hearts until it reaches its destination. Each grain of kindness is passed on from one kind heart to the next until it reaches a family in need. 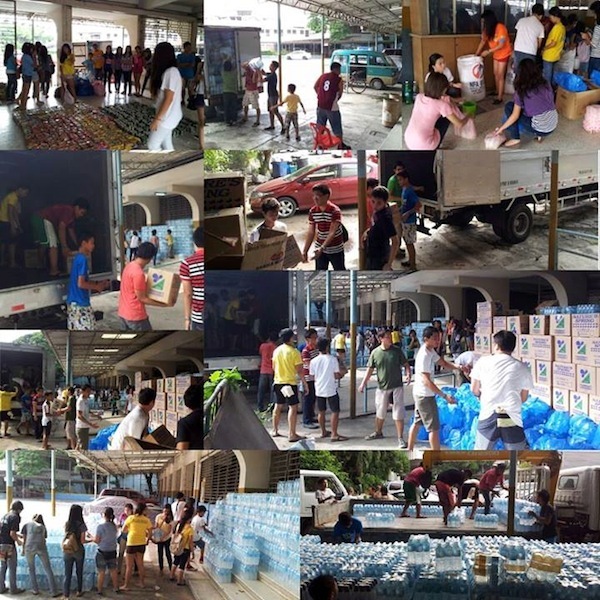 From the netizens, to the donors, to the volunteers doing the packing, to the owners trucks and boats, and to the volunteers on the ground working together with local officials. Then, that family whose need is met, who experiences the kindness, gives thanks. Thus, the cycle of kindness and gratitude turns. Please continue sending your help, the need is still great. We had simultaneous Paraisong Pambata in 10 public school/brgy centers around Bohol. Thank you GK volunteers from Manila, Davao, Dumaguete, Cebu & Bohol, Sacred Heart Ateneo de Cebu, NHU, Phil Navy (CMOU Central), Pilipinas Natin, PIA, GKOM, Mater Dei College. 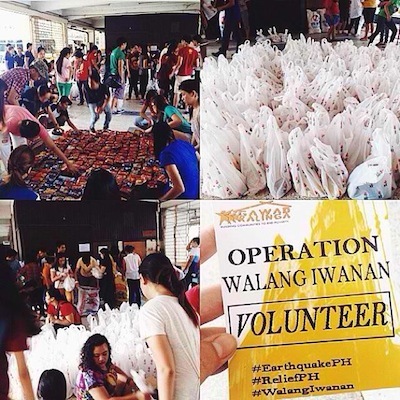 "So far, we distributed over 8,200 food packs and 30,000 liters of water to 58 hard-to-reach barangays! We intend to distribute an additional 10,000 food packs over the weekend! Volunteers from Cebu, Bohol and the rest of Visayas are now gathered in the GK Relief Operations Center in Tubigon to stage "Paraisong Pambata". A day of fun, food and fellowship with 5,000 kids in different municipalities! Yes, 5,000 kids, each will receive a bag full of goodies and a day full of happy moments that will surely paint smiles on their faces! This is WALANG IWANAN, the GK Way! Please continue sending your help, the need is still great." Operation Walang Iwanan Update: Getting ready for Paraisong Pambata, to bring smiles and play with 5,000 kids in 5 towns today. 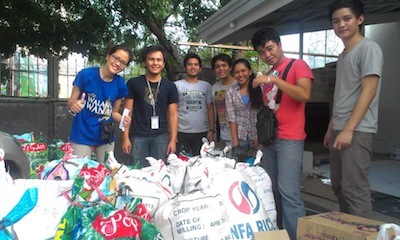 With volunteers from Pilipinas Natin, PIA, Phil. Navy (CMOU Central), Mater Dei College, Sacred Heart School- Ateneo de Cebu teachers! 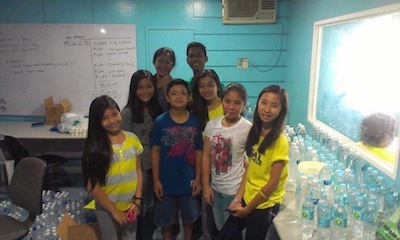 We too have volunteers coming in from Visayas and Mindanao this weekend! So, so excited for the kids! 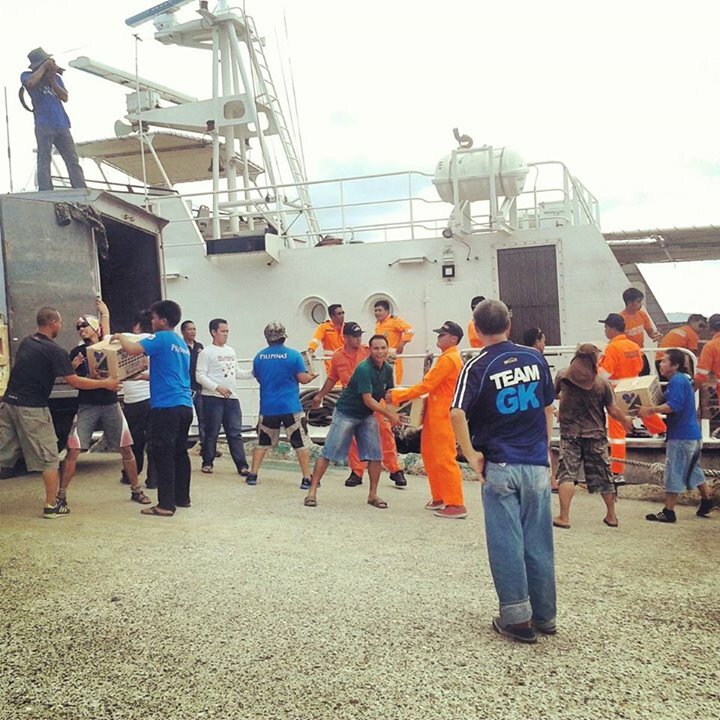 Sharing with you an update from Kuya Myk, part of our team in Bohol: "Philippine Coast Guard and volunteers unload fresh supply of relief goods today here in Tubigon Port. To all who gave, thank you and may God bless your generous hearts." THANK YOU, THANK YOU to everyone who took part! To those who followed and shared our posts online (this post included! 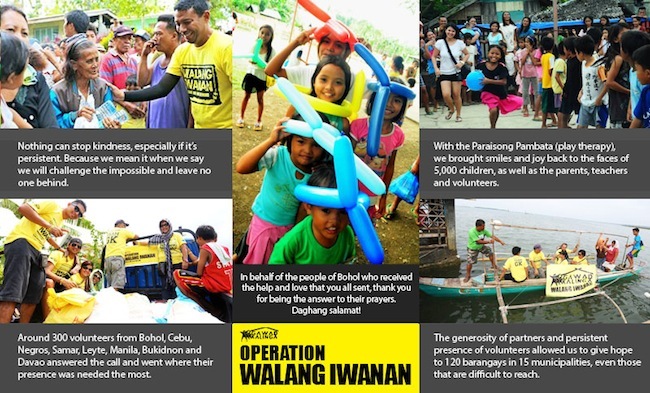 ), to our partners and friends who gave and shared their resources, to our volunteers in our Command Centers in Cebu and Bohol, to those who prayed for us, and to those who took part in Operation Walang Iwanan in one way or another, DAGHANG, DAGHANG SALAMAT! "Here in Tubigon, Bohol with reinforcements of fresh volunteers from Leyte, Cebu and Negros. Malakas pa rin ang aftershock. Imagine the trauma the locals must be going thru everytime the ground shakes. Continue to pray for the people of Bohol. Relieving the 1st team who have been here for 4 days. Great job guys...rest well. We'll take it from here." We still need VOLUNTEERS too. If you're in CEBU, please proceed at our Command Center in the Old SHS-J at 1 PM today and get in touch with Patrick Doromal at 09175233063. If you want to be part of our team in BOHOL, you can get in touch with Chingkee Sabanpan at 09173117072. In behalf of the families in Bohol, DAGHANG, DAGHANG SALAMAT KAAJU! It is because of YOU and your families and friends that we were able to serve 1,938 families and make it until DAY 5 (Oct 22) of Operation Walang Iwanan. And we still can do and give so much more! 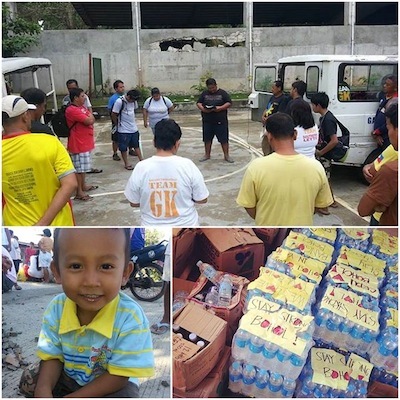 We were also able to give out disaster kits and 4,161 bottles of mineral water. And water is still most needed! As we enter Day 6, help us to pray for our team and the families in Bohol, inspire more people to help and take part. Because it's never too late to do something. Because there IS something that we can do. 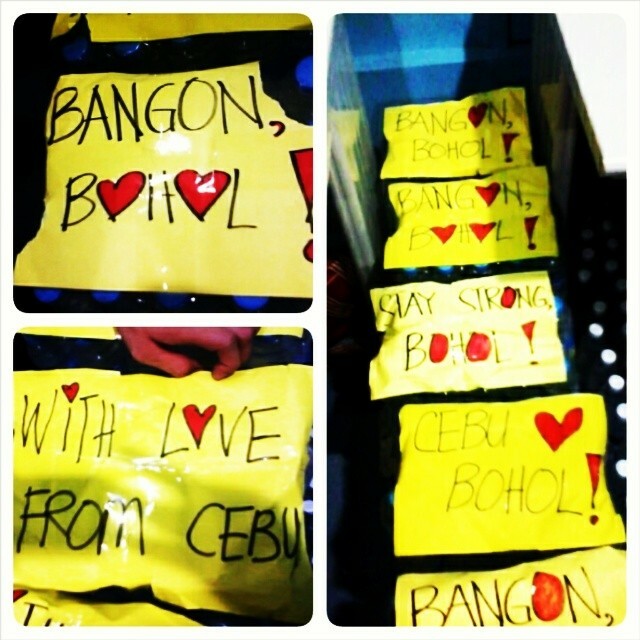 All for Bohol! "Took one batch of relief goods to Sandingan by pumpboat since it has become inaccessible by road. 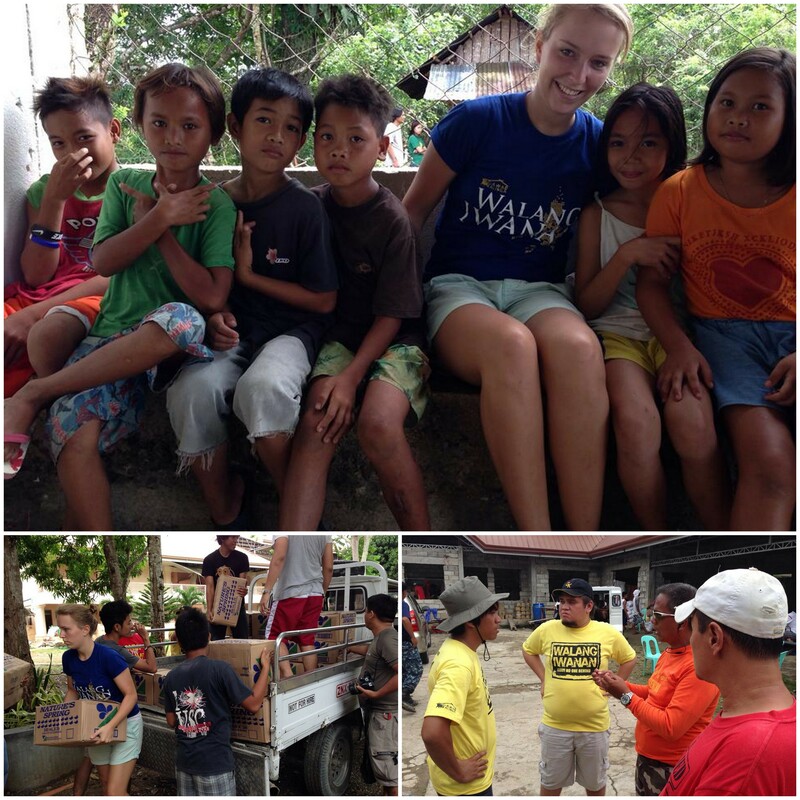 Currently distributing relief goods to the families here and the smiles of the kids are just priceless!" Aint no mountain high enough, aint no river (or ocean) wide enough to stop the spirit of Walang Iwanan! If you wish to join our volunteers in Bohol, please do get in touch with Chingkee Sabanpan at 09173117072. 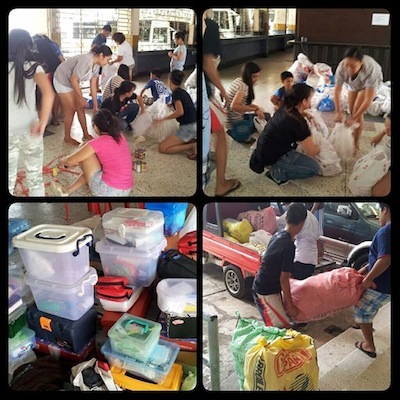 "Sharing some images I witnessed while doing relief operations in Tubigon, Antequera and San Isidro. No words to describe the awesome power of nature. As the volunteers take their well deserved rest. I would like to honor them for being courageous and relentless in bringing the relief goods to isolated barangays. Am sleeping inside a military hammock. Tide to the posts of a covered walkway. A safer place to spend the night than inside the gym. Let's continue our efforts to bring relief to the earthquake victims of Bohol." We continue to pray for strength and good health for our teams deployed in Bohol, our team in our Cebu Command Center and for all the families in Cebu and Bohol. Walang Iwanan! "Keep it coming, guys! 9,000 1Liter bottles of Nature Spring Water arrived at 3 am this morning with 700 food packs. We were able to distribute most of these relief goods to Tubod and Katipunan in Clarin, parts of Tubigon and still waiting for information from our team set to distribute at Antequera. In Tubod, we were the first to distribute relief goods. Our delayed plans for Sandingan turned out to be a miracle in disguise causing us to turn our attention to the more out-of-reach areas. Our spirits were even more uplifted to see some of the Boholanos specifically say "Tubig lang amo dae" and others saying that there's enough water back in their houses, so they'll just have the rice and other goods. 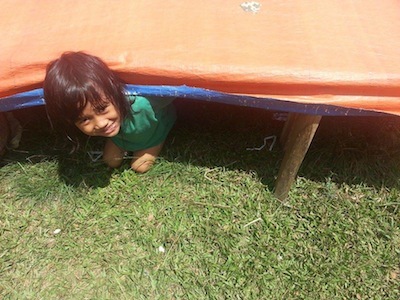 Even in destitute times, the #Bayanihan spirit still prevails in the Filipino. Walang Iwanan!" GK Cebu Command Center is still open and accepting donations and volunteers til 8 PM today. We are calling out for more volunteers to help out with repacking at the DSWD Center (just proceed to Old Campus SHS-J too). Bring your family and friends! See you! 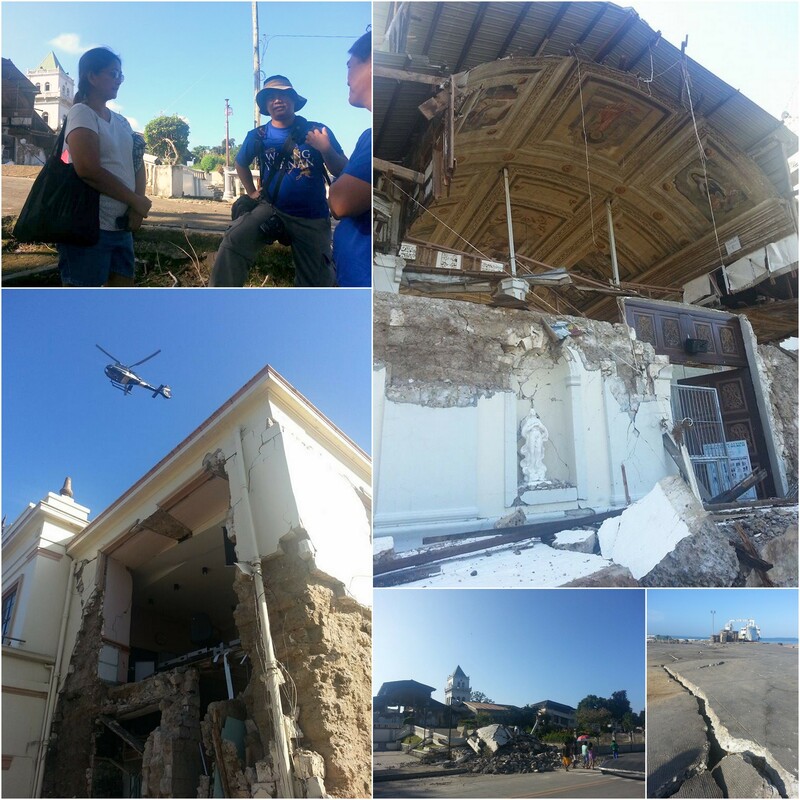 "The dramatic structure of the disaster here in Bohol is entirely new to me. I always thought that aftershocks are mere postscripts of an earthquake. Unfortunately, here they are not. For the people of Bohol, aftershocks in the past 6 days have evolved into a new drama in itself, and not just a denoument. It is haunting. Unpredictable. Persistent in evoking fear. It reminds you that the monster is just around the corner and may strike anytime. Sometimes it is a distant howl. But many times it is directly underneath. Shakes your core as you scramble to a safer place. But the past 6 days have likewise been a witness to different force that is building up into a climax. It is inspiring. Deliberate. Persistent in evoking hope. It reminds you that there is great power when we work together as a people. 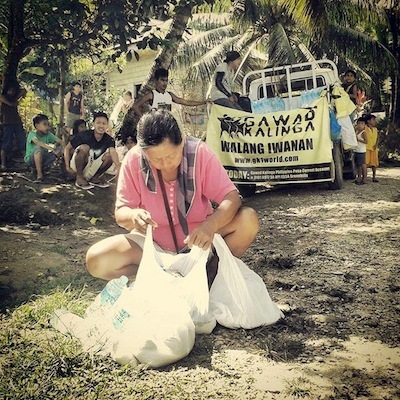 Thousands of families in Bohol have been having decent meals because of the bayanihan of volunteers, donors, the government and the Boholanons themselves. Thousands of families, while they still fear, are starting to see hope. At 4am this morning, while volunteers were in the middle of hauling more than 9,000 bottles of drinking water, a strong aftershock occured. They paused for a few seconds, laughed, then resumed working." "Met up with Team GK Southern Leyte and LGU Maasin. 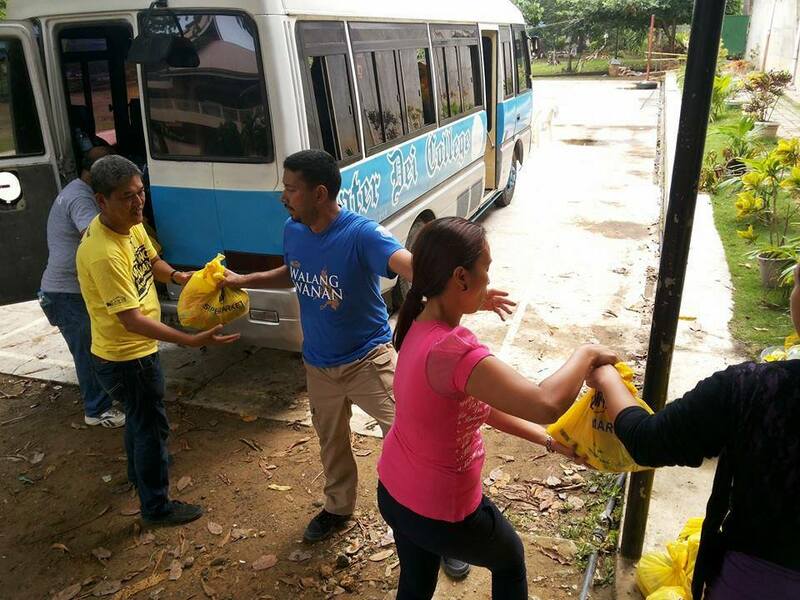 Team GK distributed 2,300 relief packs to Danao, Catigbian, San Isidro and Tubigon. All four teams will now converge in Tubigon to prepare for tomorrow's relief ops. Inspiring stories abound. 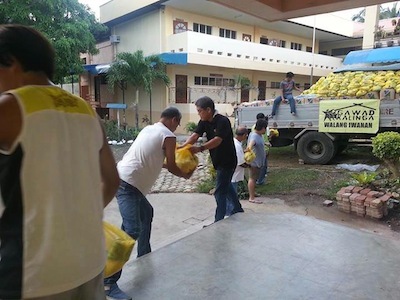 The LGU of Maasin City, which experienced major disasters in the past, organized a team together with GK to help Bohol as a means of "paying it forward". Alicia, Jagna, Guindulman, Loay and other LGUs in Bohol that were not severely affected have been sending volunteers and sharing resources to hardly hit towns. Purok leaders in Maitum, Catigbian decided not to receive food packs to accommodate those families which were not yet counted in the census. Some residents of Brgy. Cabanugan, San Isidro shared the water they received to another sitio where potable water source had been severely damaged. That's the Filipino spirit! Walang Iwanan!" "We have just delivered our 3rd batch of relief goods for Bohol thru Starcraft. We will not be able to send these donations without your help. Daghang, daghang salamat! 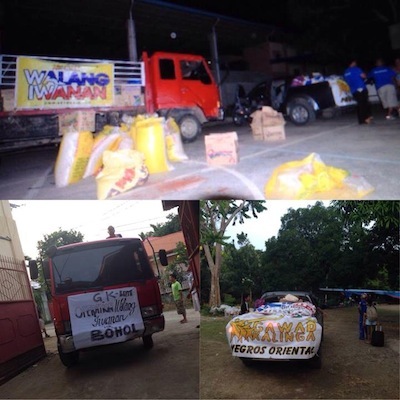 Keep sending your donations at the Old Sacred Heart School Campus at General Maximum Ave. Walang Iwanan! 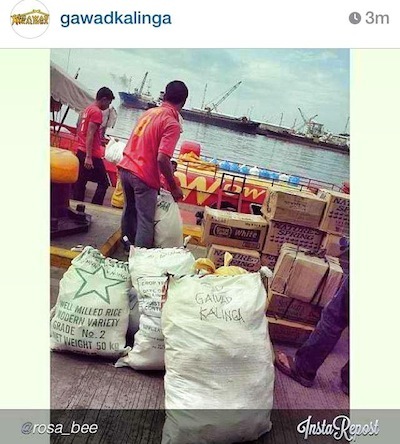 #gawadkalinga #walangiwanan #bangonbohol"
"Fresh goods arrived early in the morning by sea. 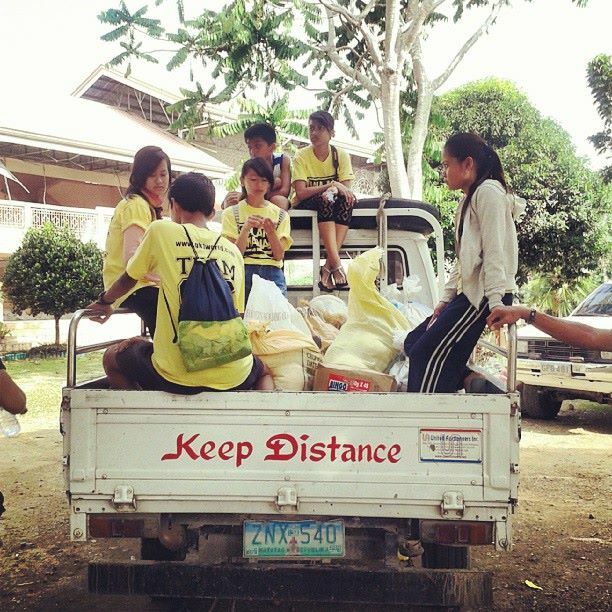 After 30 mins and 6 aftershocks later, Team GK unloaded 800+ packs for distribution to remote barangays in Tubigon. The truck will then proceed to other towns. " 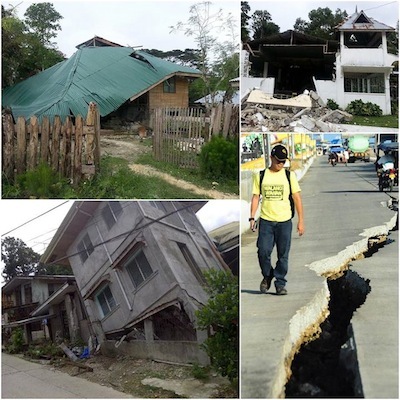 Help us pray for a good weather and less (and hopefully zero) aftershocks. Let's continue to pray for our fellow Filipinos in Bohol! Bangon, Bohol! Thank you, thank you to everyone who chose to spend their Saturday with us! All for Bohol! More updates at Gk Cebu of today's relief efforts at our Command Center. Spend your Sunday with us again? See you at 9 AM tomorrow at the Old Campus of Sacred Heart School - Jesuits, Gen. Maxilom Avenue, Cebu City. Daghang salamat! Thank you, Flaire, for this photo! Pilipinas, unite! All for Bohol! Our Command Center may be in Cebu City but our friends, partners, volunteers and families in Southern Leyte (in this photo), Negros Oriental, Leyte, Negros Occidental, just to name a few, are trying to find ways to help and make Bohol feel that they are not alone. Because there IS something we can do. Daghang salamat, Pilipinas! Keep the faith. Share the hope. A total of 3,350 foodpacks. We are targeting 7,500. October 19 (Day 2): Goods will be transported from Cebu to Tubigon on October 19 via ferry boat. Walang Iwanan! Go Team GK! "Antequera and Danao, Bohol. Almost all of the stores areclosed. Municipal halls were destroyed. LGUs in these two towns hold officeoutside. Tremors still occur. Families put up temporary dwellings outside theirhomes or open spaces. But if you close your eyes, you will feel the Filipinospirit -- resilient as ever." That's the Filipino fighting spirit! 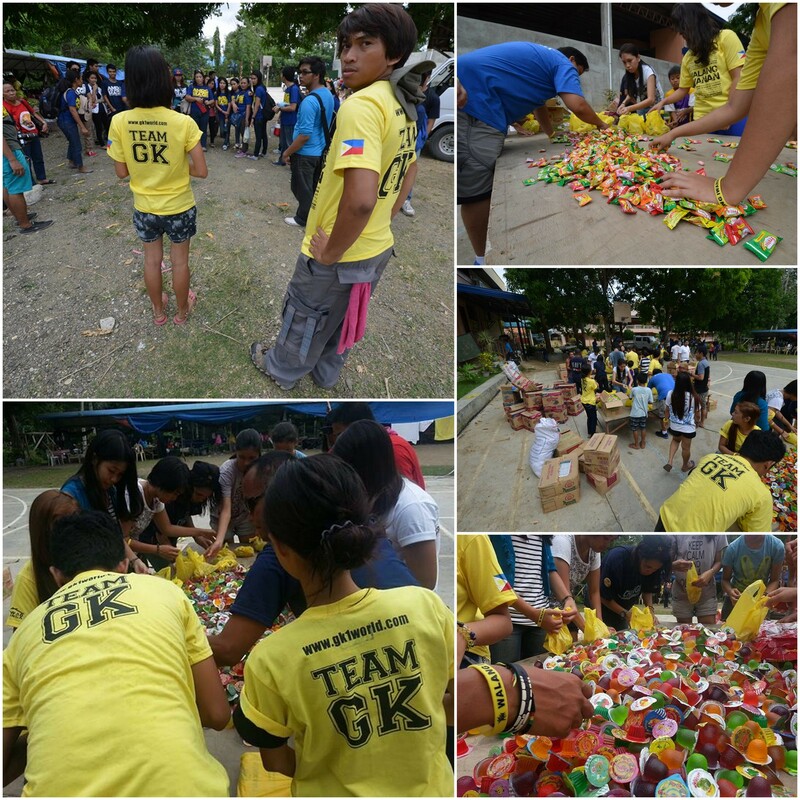 Update from Team Gk Cebu: "THANK YOU everyone for your amazing support! We have just reached 400 food packs! And we still need more! Call us at 266-1288. 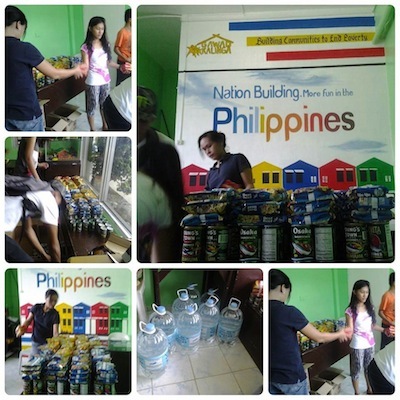 We are targeting at least 7,500 food packs at P200 per pack! We need YOU and your family and friends! All for our brothers and sisters and Bohol!" Take heart, Bohol! We will not leave you behind. These are the sights in the first 30 mins of Team GK in Tubigon, Bohol. 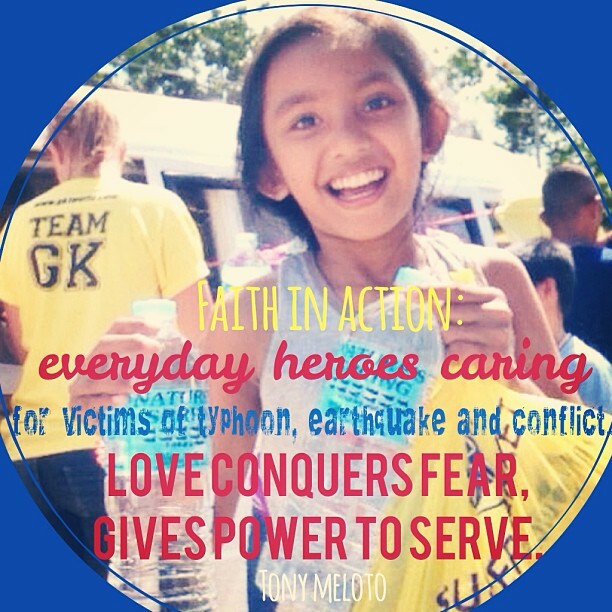 Team GK is now in Tubigon, Bohol to prepare for food pack distribution that will start tomorrow, October 19. 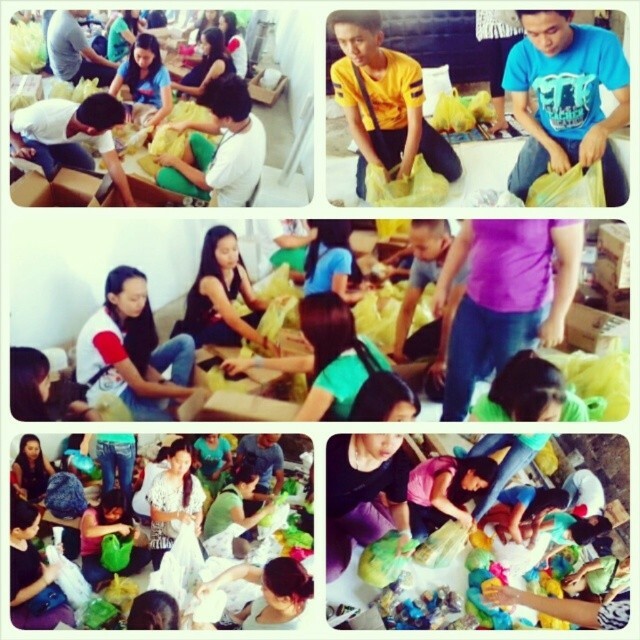 There is a second Team GK based in Cebu gathering and repacking the first 2,500 foodpacks that will be shipped. Please continue to ask your friends to share this post and also to share resources so we can give help to those families isolated by the recent earthquake in Bohol. We are targeting 7,500 foodpacks.